Code of Conduct Tribunal (CCT) Chairman, Justice Danladi Umar may face a fresh probe by the Economic and Financial Crimes Commission (EFCC) over some allegations. 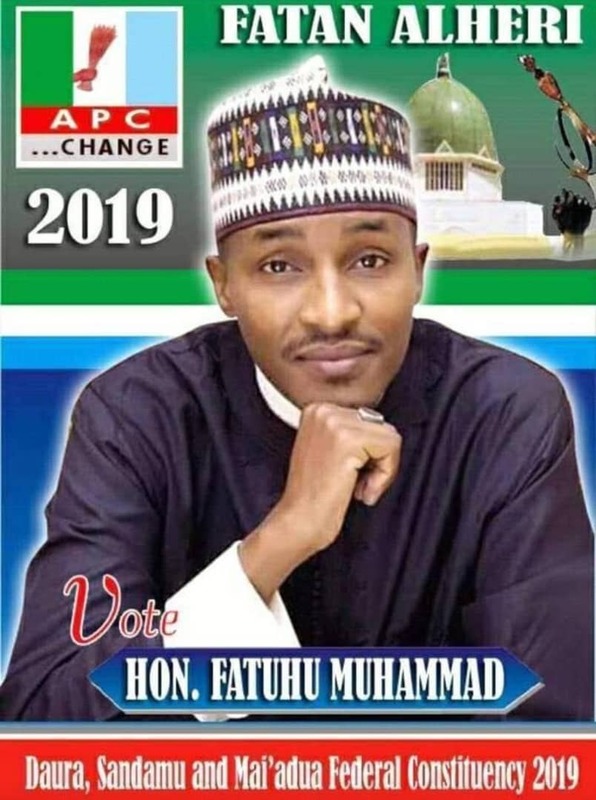 This is as the agency has re-opened investigation into alleged N10million bribe Umar collected through his Personal Assistant, Ali Gambo Abdullahi. Although Umar had been cleared over the same issue over a year ago, discovery of fresh clues was said to be responsible for the new probe. “The anti-graft agency is already probing some allegations against the CCT chairman, including the alleged collection of a N10million bribe and award of contracts. Some of these allegations were actually tabled before the Senate and the House of Representatives”, a source told The Nation. “The initial plan was to conduct the investigation during the trial of the Senate President. But the EFCC decided to stay action in order not to disrupt the judicial process. “With the trial over, we are going to interview Justice Umar on these allegations. The details include the payment of N1million in July 2011 from the coffers of the CCT to sponsor his wedding; alleged spending of N15.2million to purchase a Toyota Prado Jeep ‘without following due process; award of contracts for supply of office furniture and fittings in the sum of N11.3million. “The contracts were reportedly executed by a ‘supposedly engineering company and not a furniture or supply company. “Other allegations are alleged payment of N4. 2million for the “purchase of welfare items” in a contract executed by a private individual and another N4.2 million for the procurement of external light bulbs”. Reacting, a source at the tribunal said: “We suspect foul play because the EFCC cleared Justice Umar in 2015 and 2016 of any wrongdoing. This latest probe may be the aftermath of the judgment of the tribunal which discharged and acquitted the Senate President. I think the EFCC is after a proxy war. The judge is a fair-minded person who has defied pressure to do his job. “While the trial of Saraki lasted, he has persistently said he will discharge his duties without fear or favour because he will account to God one day. “The EFCC should leave this judge alone. Even until the judgement was delivered, Saraki and his legal team were kept on the edge. This is to show you the level of his fairness. The EFCC, in a letter to the former Secretary to the Government of the Federation (SGF), Anyim Pius Anyim absolved Umar of bribery allegation. The letter signed by its ex-chairman, Mr. Ibrahim Lamorde said: “We refer to your letter ref. No. SGF.19./S.24/11/451 dated 23rd February 2015 on the above mentioned case reported by one Mr. Rasheed Taiwo (DCG rtd) of 6AB Milverton Road, Lagos against the Chairman of the Code of Conduct Tribunal, Justice Danladi Umar and his Personal Assistant, one Gambo Abdullahi. “The complainant who is facing charges at the Code of Conduct Tribunal alleged that Justice Umar made direct demand for the sum of N10 million to quash the charges sometimes in 2012. ”There is a prima facie evidence to however prosecute the Personal Assistant, Abdullahi, who could offer no coherent excuse for receiving N1.8million into his salary account from Taiwo, who is an accused person standing trial at the tribunal. Also, the Secretary to EFCC, Mr. Emamnuel Adegboyega Aremo, in another letter to the SGF on April 20, 2016 exonerated Justice Danladi of corrupt practices. 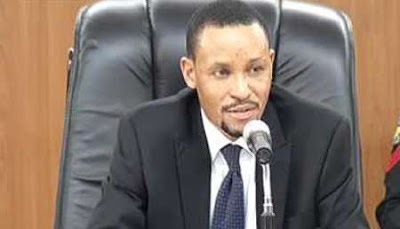 The letter said: “We will like to reiterate the Commission’s position in regard to this matter as earlier communicated to you and state that the allegations leveled against Justice Umar were mere suspicions and consequently insufficient to successfully prosecute the offence.